Mudeater Bend Neosho River Bridge, Ottawa Co. 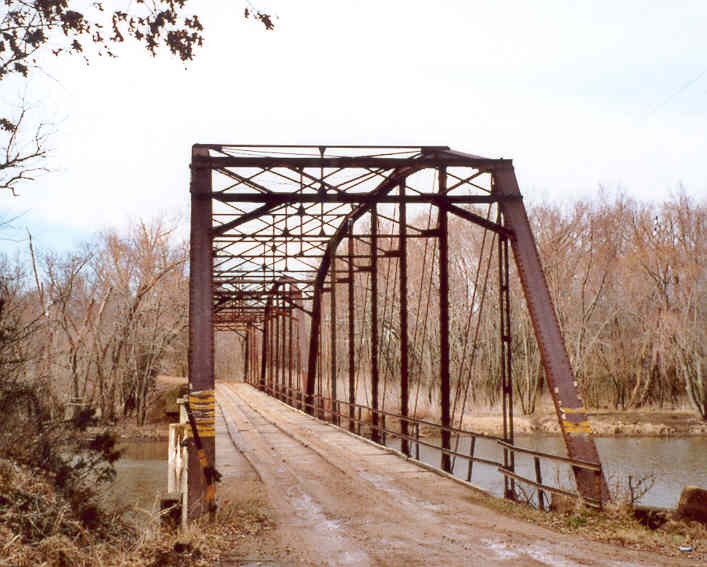 This rather interesting bridge is located in southern Ottawa County and was assembled here in 1930. I say that because this odd assortment of spans was probably moved here from various locations. The above picture is from the south looking north. The south span is a pin-connected Parker, 148-feet in length with 8-panels. The middle span is also a pin-connected Parker and is 129'-6" in length with 7-panels. The north span is a pin-connected Pratt, 100-feet in length with five panels. 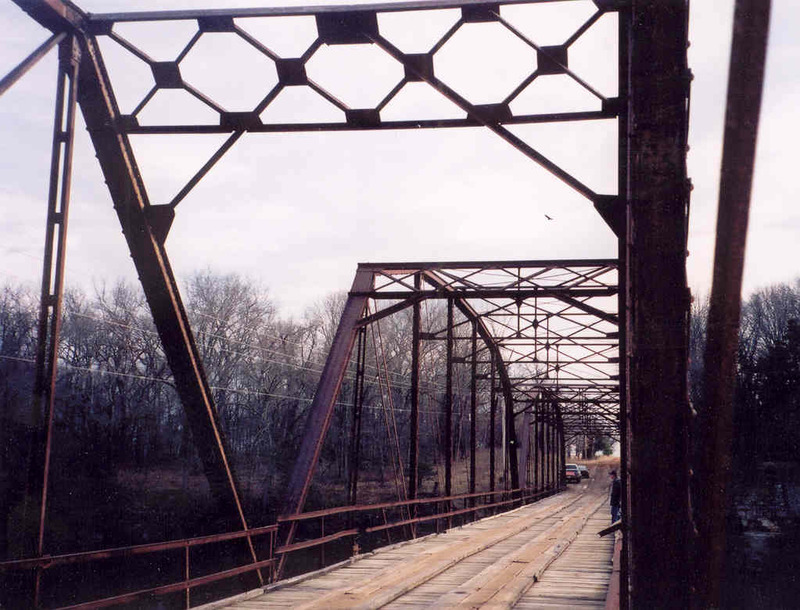 The bridge is built on concrete piers and foundations. The south span actually extends south of its abutment by nearly 17 feet, suggesting that it replaced a shorter span. Below is a view along the lower chord. The piers are square rather than round, and turned at a 45-degree angle. Above and below, the portal of the Pratt span. Note the differences in it and the Parker span's portal. None of the portals, knee-braces, or sway struts have been hit by tall vehicles. Below, a view of all three spans. 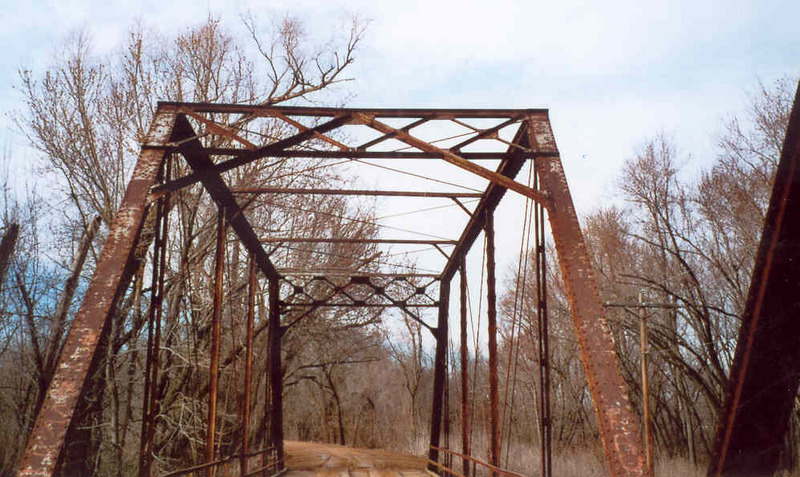 Overall, we found this bridge to be very rickety, the middle Parker span sagged noticeably when an SUV passed over it (some authorities say that it is perfectly normal for pin-connected bridges to exhibit this behavior, and are designed to "stretch"). 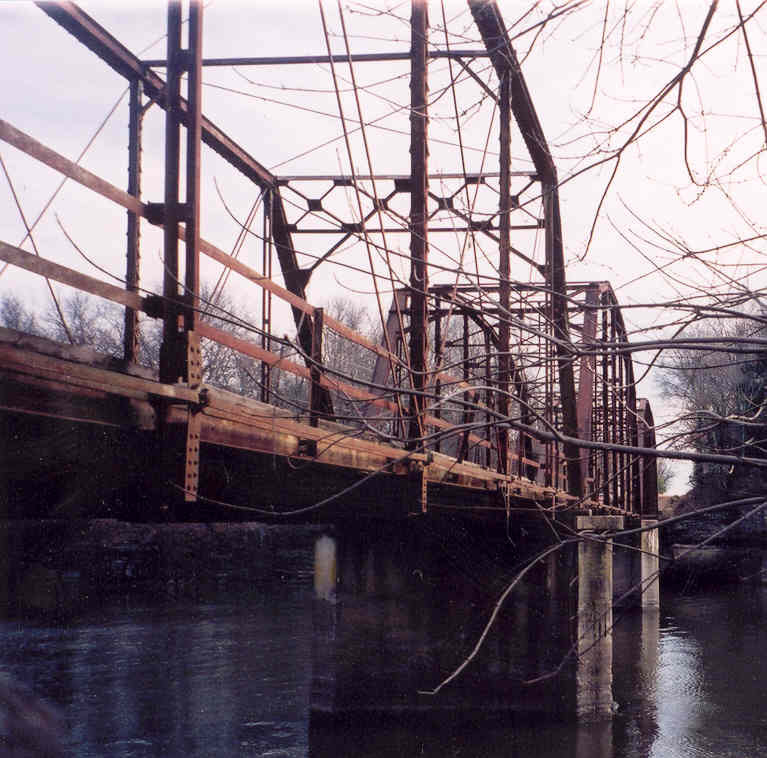 Still, one can't help but like this bridge, with its distinctively rustic appearance. By the way, those are not scratches in the negatives or dirt on the lens you are seeing above the bridge. They are miscellaneous items thrown over the utility lines that run parallel to the bridge by the locals!